In order to provide the guests with a first class experience during their stay in the Pearl Grand Hotel, the management has ensured that it is facilitated with all the necessities. Being second to none of the hotels in the area, The Pearl Grand has the below mentioned facilities to be benefitted by the exclusive guests. Pearl Grand Hotel; which is a 4 star hotel in the city of Colombo is facilitated with a bar, spa, gym and pool that are FREE for its guests. The guests of “Pearl City Hotel,” can enjoy these value added services as well. 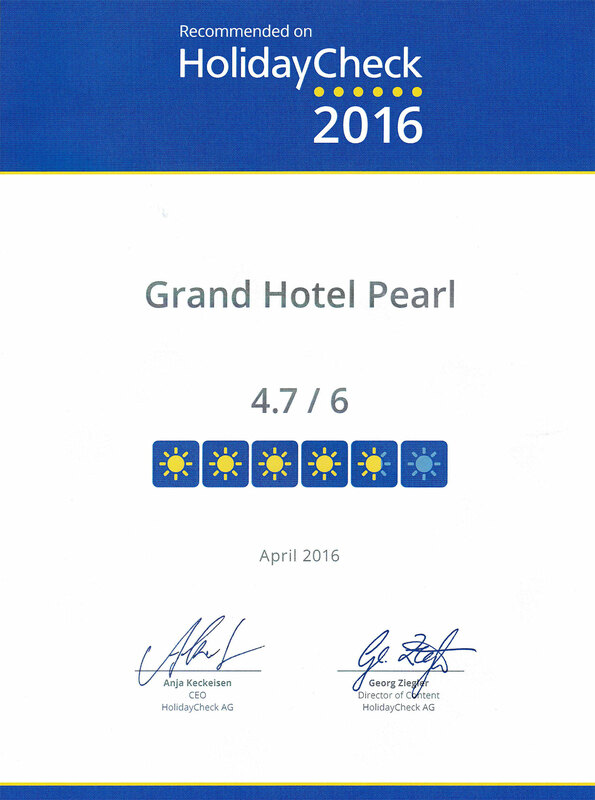 When it comes to the accommodation of the Pearl Grand Hotel, the prominence is given to the luxury and the comfort of the guests. Thus we have assured that all the rooms in the hotel are spacious enough and are equipped with the all the necessary amenities to make their stay a memorable one. All the rooms are spacious enough to accommodate the families and individuals conveniently while ensuring they make unforgettable memories. Situated in the heart of Colombo, the hotel has access to all the places of prominence conveniently. Majestic City and Unity Plaza shopping complexes, Sri Lanka Planetarium, Race Course Grounds and Arcade Independence Square are some of the few places that you can visit within a few minutes while you are at the Pearl Grand Colombo. The hotel is facilitated with a world class swimming pool at the top of the building which gives an inimitable view over the Indian Ocean and lets the spectators enjoy the view of the setting sun from the Western coast of the country. The roof top swimming pool of the hotel is one of the favourite places of the guests since it is a place with utmost tranquillity. What cravings do you have these days? Is it for the well seasoned sea food, Sri Lankan dishes made with proper blends of spices or for a dessert made for an international recipe? Whatever they are, our professional crew of chefs are ready to prepare them for you. You can enjoy the meals either in our relaxing restaurant or in your room leisurely; the choice is always yours. For all the fitness geeks who need a few hours in a gym every day, we at Pearl Grand supply the service of a fully equipped gymnasium and a fitness centre. Additionally the service of a professional trainer can be requested. Never miss the important activities of your healthy routine. Come to Pearl Grand and enjoy the services of the gymnasium and the fitness centre. The modern and the spacious restaurant of Pearl Grand Hotel is equipped to accommodate a large number of guests. Furthermore, chefs with experiences in the international sphere are prepared to introduce local and international dishes with tantalizing tastes that suite your entire family or the corporate requirements. Among the facilities provided by the hotel, cuisine is proven to be a factor that will be memorable to the guests. Our Business Centre is facilitated to fulfil your business communication requirements. You can use it to complete your essential and immediate business needs that should be attended immediately. It is equipped with machines with latest technology and high speed Wi-Fi so that you can attend to work without any delay or inconvenience. Our lobby represents the soul of the “Pearl Grand” providing a friendly and loyal first impression on the service we provide and the reception will welcome you to the hotel. The classy lobby which is lighted in contemporary lighting techniques and the fresh flower arrangements will make you feel privileged, even before you enter the room. The comfortably and tastefully furnished lobby is an ideal waiting area for you and your guests. The 12 storied building of the Pearl Grand Hotel consists of high speed elevators that can house ** people at once. With these, you can reach your floor fast and comfortably. With the intention of ensuring the hygiene and the comfort of the rooms, only the internationally accepted fittings, that uphold the modernity in their outlook are used for the bathroom fittings. These bathrooms will leave you dumbstruck and contented throughout your stay in the hotel. The skyline of Colombo is significant and eye catching to whoever that visits the city. The night lights of the city and the light shades of oranges and pinks under the twilight sky that can be witnessed from the top of the hotel will leave you grateful that you stayed in it. The words may not be enough to describe the view, but one visit to the hotel will make you return for the spectacular view it has to offer. The staff at “Pearl Grand Hotel” is trained to serve the exact guests requirements with the intention of providing them with a world class service. They are all friendly and will attend to your service with greatest ardency and professionalism. From the moment you check into the hotel till the time comes to check out, they will ensure that you are served well and contented with our service. A holiday is all about relaxing and exhilarating from your banal and hectic lifestyle. To catalyse your intention of relaxing, we have an exclusive wellness spa which delivers an amazing tranquilizing moment. The friendly and experienced practitioners at the spa will utilize world widely accepted products to give your soul and toes an entirely fresh outlook. We have been awarded for the premium service we have provided our guests over the years. We continue to ensure that the facilities and the amenities adhere to the international standards just to be your first choice.